Most of your possessions – either in your business or your home – will suffer damages in one form or another when there’s a fire. If not completely destroyed, they will have a strong odor from smoke damage, or a blackened exterior from soot deposit, or even complete charring. Often times a fire will damage the very integrity of the structure in one or more areas. This can require either full or partial reconstruction. Our trained contractors and disaster recovery specialists can help. Physical building restoration, fire damage remediation and deodorization are the most tedious and detail-oriented parts of any restoration project. Proper cleaning and removal of soot and smoke is absolutely necessary to ensure your property is free of odor. Our technicians at ZIPCO are specially trained in smoke and odor removal. Various techniques are utilized to ensure this is achieved and are tailored to the type and size of fire you may have experienced. We will assess the damages and work with you, your tenants, your owner or asset manager and your insurance company to ensure the damages are remediated properly. We will also provide an estimate to rebuild the property back to it’s pre-loss condition. Our staff has experience dealing with commercial, industrial and residential fire damage restoration across the entire Kansas City Metro. Anyone that steps foot on your property will be a fully trained and licensed professional. And we’ll treat your home or business just like it was ours. 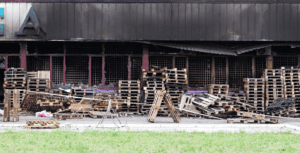 When it comes to restoring your commercial property from fire and smoke damage, time is money. When it’s your home, every second is precious. Use the short form below or the 24/7 emergency contact phone number to get help fast.